From our location in the centre of the Caribbean island chain we are perfectly placed to teach novice and experienced sailors alike. Blue waters, fresh breezes, varied destinations and stunning scenery, all combine to turn a Miramar Sailing School RYA Sail Training Course into an unforgettable holiday. Learning new skills, while having "fun in the sun", offers a double bonus at a very reasonable cost. Our Mile Building Passages around the Caribbean and further a field, provide the ultimate in log book entries! 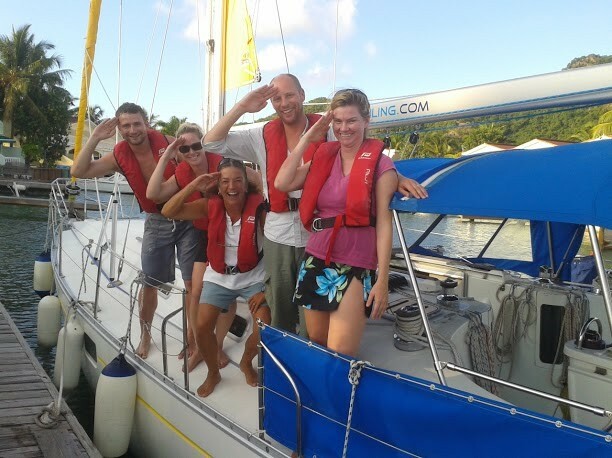 We also offer Yacht Racing Charters for individuals and corporate groups. 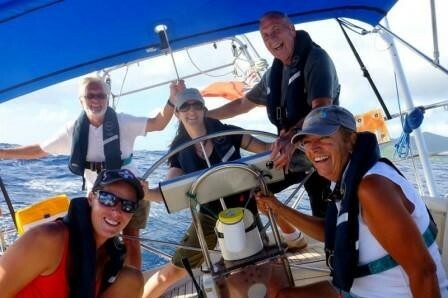 There is no better way to focus your sailing skills, competitive nature, and team spirit into one fantastic experience! 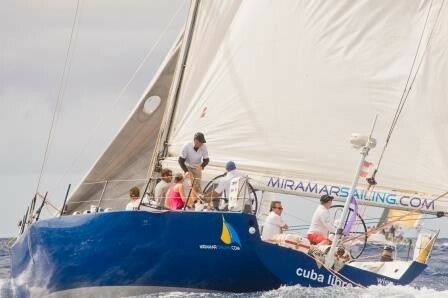 Miramar Sailing offers this experience through our extensive programme of “round the cans” Regatta Racing, and long distance Ocean Racing, on a wide selection of exciting and competitive yachts. We have an amazing last minute offer for Courses week commencing October 27th. Take your RYA Competent Crew or RYA Day Skipper Practical, or even brush up your sailing in our Skills Clinic, now priced at only US$830.00. 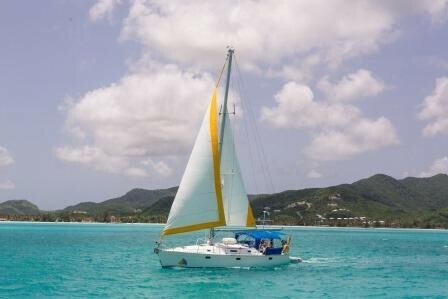 All courses include On board accommodation, catering and of course 5 days of sailing in the warm Caribbean sea. On Monday Tropical Storm Gonzalo paid us a visit in Antigua but we are pleased to say our 3 school boats survived with only a little damage (nothing that Pippa can't fix!). Yesterday the sun came back out, it was a beautiful calm day and the students continued to sail off on their RYA Competent Crew / Day Skipper course. “Red Baron”, our Peterson 43, has this year undergone a complete racing refit with brand new sails, and deck fittings, and is raring to go for a full on Caribbean racing season that opens with the Triskell Cup in Guadeloupe in early November. “Seu Tata” our Delta 45 is based in Rio de Janeiro, and preparations are well underway to bring this 2012 built racing machine race ready for the 200nm 64th Santos to Rio race on October 24th, which is the opener for the 45th Rio de Janeiro Sailing Week that starts on November 30th. “Cuba Libre” our Volvo Ocean 60, is making ready for the 2014 Barcolana in the Gulf of Trieste on October 3rd, which will followed very quickly by her attempt at the 600 mile non stop RORC race from Malta, around Sicily and back.